Pollinator Awareness Training Now Available! To begin, log-on to the NPMA Online Learning Center and take the Pollinator Awareness Training. This course will take approximately 25 minutes to complete, plus additional time to finish the quiz. This training is free for members, and upon successful completion, you will receive a certificate. Last week, NPMA hosted a “Commercial Market Leaders Summit,” attended by approximately 35 CEOs and senior managers of companies who do significant business in the commercial sector. Through facilitated discussion, the participants identified a variety of ways NPMA and PPMA can better support their businesses, particularly relating to pest management in the food supply chain. A number of the issues relate to codes, standards and regulations. The goal of the meeting was to develop a comprehensive industry plan to address challenges identified by the group. We will have a draft plan available shortly. As a benefit of membership, NPMA offers a library of pest pictures for members to download and use on their website or marketing materials. To access this library, visit My.NPMAPestWorld.org and log in using your email address and the temporary password "npmamember," then navigate to the Tools & Resources tab and click on Pest Pictures. If you have any questions on this or any of NPMA’s member benefits please contact us at npma@pestworld.org. Brown recluse (Loxosceles reclusa) and brown widow (Latrodectus geometricus) spiders cause a significant amount of worry amongst homeowners in the areas where they are found (and perhaps just as often, in areas where they aren't found). Spider control often includes a combination of removal, exclusion, and topical and residual pesticide application. However, spider control can be a difficult exercise, especially for mobile spiders within a structure. Breaking away from traditional control strategies, a new research paper, led by spider expert Dr. Rick Vetter, explored the efficacy of a fumigant against brown recluse and brown widow spiders. Vetter and his colleagues evaluated sulfuryl fluoride against these two pest species by introducing the fumigant into a structure with containers of spiders placed throughout it, including at different heights. The sulfuryl fluoride, which reached a dose equivalent to 1.7x the rate used for drywood termites, was successful in killing adult brown widows and brown recluses throughout the structure. Future research will likely focus on the efficacy of fumigants against egg sacs, which are less permeable and susceptible to pesticides than adult spiders. This research paper, “Exposure of brown recluse and brown widow spiders (Araneae: Sicariidae, Theridiidae) to a commercial sulfuryl fluoride fumigation” was published in the most recent volume of the Journal of Economic Entomology. Join NPMA and the Professional Landcare Network (PLANET) for the sixth annual Lawn Care Summit on Dec. 3-5 in Tampa, Florida. Click here for more details and registration. NPMA is exploring new opportunities to provide benefits to our members. Recently, a discussion appeared on my.NPMAPestWorld.org suggesting that NPMA partner with a mobile carrier to offer discounted services and products to the membership. Now we need to know which carriers would YOU be interested in seeing NPMA parter with. Last week, OSHA finalized a new rule, Occupational Injury and Illness Recording and Reporting Requirements – NAICS Update and Reporting Revisions. Beginning Jan. 1, 2015, all employers operating under the Federal OSHA plan must report any employee who is killed on the job (within 8 hours) or suffers a work-related hospitalization, amputation or loss of an eye (within 24 hours). Previously, reporting single hospitalizations, amputations or loss of an eye was not required. Companies located in states that operate under a state OSHA plan should check with their state’s website for implementation dates. Those companies that have 10 or fewer employees are not exempt from the requirement to report severe injuries and illnesses. However, they continue to be exempt from the requirement to routinely keep records of worker injuries and illnesses. 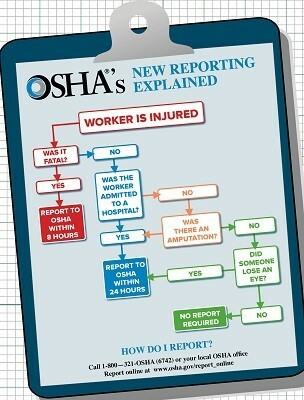 Employers can report these events to the nearest OSHA Area Office, the 24-hour OSHA hotline 1-800-321-OSHA, or electronically at www.osha.gov/report_online. NPMA advices you to please check with your state for additional reporting requirements. For more information about the final rule and a link to the updated list of exempt industries, click here. California Gov. Jerry Brown last week signed into law legislation NPMA helped develop allowing pest management professionals to electronically convey documents to customers as a means of complying with longstanding consumer information requirements. The 1984 consumer disclosure law previously limited conveyance options to first class mail, physically providing the information or posting it in a conspicuous place on the property. Assembly Bill 1685 also contains a Pest Control Operator of California spearheaded provision upgrading the Structural Pest Control Board’s examination process. Click here to read the new law. The Chairman and Ranking Democrat of a key House Agriculture subcommittee recently wrote U.S. Secretary of Agriculture Tom Vilsack expressing concern with and raising questions about a pending Animal and Plant Health Inspection Service rulemaking that adjusts existing and establishes new Agricultural Quarantine Inspection fees including a $375 fee for each fumigation of a regulated commodity at a port of entry. Click here to read the letter. The U.S. House of Representatives last week, by a bipartisan 262-152 vote, passed legislation prohibiting the U.S. Environmental Protection Agency from finalizing rulemaking redefining and broadening the definition of the term “waters of the United States” under the Clean Water Act (CWA). President Obama has indicated that he would veto the bill. NPMA is concerned that expanding the scope of "waters of the U.S." would subject additional PMPs to CWA permitting requirements for certain pesticide applications. Click here to read the Hill article about the vote and here to see how your member voted. Largely because of the increased use in cities of fipronil and dichclorvos, 90 percent of urban streams had pesticide levels exceeding a level of concern for fish and water dwelling insects from 2002 to 2011, according to a recently issued U.S. Geological Services report. Only 53 percent of urban streams contained pesticides exceeding the Aquatic Life Benchmark for the decade spanning 1992-2001. Click here to read the report. 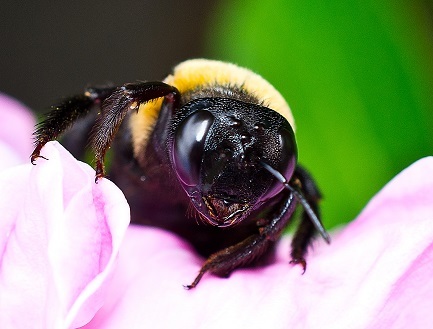 A committee of the Seattle City Council today will consider a resolution banning the purchase or use of any neonicotinoid pesticide on any City-owned or operated land. NPMA contacted members of the Planning, Land Use and Sustainability Committee in opposition to the measure. City councils in Eugene, OR; Spokane, WA; and Shorewood, MN previously approved similar legislation. Click here to read more. Stuart Aust, President and CEO, and Tim Periard, Vice President of Operations, were recently featured on the CBS Channel 2 Evening News.